At SpliceCom we’re finding that opportunities for on-premise IP PBXs, be they soft, hard or virtual are now almost exclusively application led. Hosted telephony is best suited for the simple dial-tone implementations required by very small and very large customers; those that would have been served in the past by small Key and Lamp digital systems or FeatureLine/Centrex, and large scale PBX with analogue handsets respectively. This leaves the middle ground market wide open for the on-site IP PBX. The ease with which Mobility, Business Management and Call Recording can be deployed and used have long been deal clinchers for SpliceCom, but increasingly it’s Unified Communications, in the form of integration with core business IT applications, that we find ourselves talking about at the point-of-sale. The modern workforce wants to drive their communications via the apps that are in constant use throughout the business, typically Personal Information Managers (PIMs) like Microsoft’s Outlook, or Customer Response Management systems like Salesforce or Microsoft Dynamics. This includes business telephony and IM in addition to email. Our channel partners are now spending more time demonstrating these capabilities, through Navigate UC and Navigate CRM, then they are handset features. The old adage of those who want to finance their equipment through CAPEX go for an on-site solution, those who want OPEX chose hosted also needs revising. We offer a range of alternative payment plans through SpliceCom Financial Services for those who prefer to go down the OPEX route for their on-site PBX, including a three or five year Lease Rental deal and an innovative pay-as-you-go flexible licence programme. However, it’s been interesting to see that we’re now starting to close turn around business from hosted end-users who have worked out that, for all the great headline prices, they’re paying far more for a hosted solution over three or five years than an outright purchase of their own PBX. One of the other areas where we’re seeing a higher PBX sales profile are those instances where the data produced from and by the system is deemed core to the customers’ business; call recordings, call billing info and call management reports. There’s still an unanswered question of who actually owns all this data when telephony is provided as a service. Until there’s a satisfactory answer, Call Centres, Business Centres and those who have a legal requirement to keep Call Recordings will continue with their preference to purchase an on-site solution rather than lease a service. Our channel partners continue to play a key role for the continuing rise in our UK PBX sales figures. 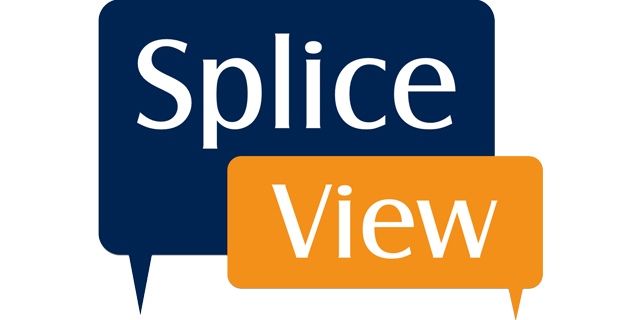 They know that when they sell a SpliceCom solution that the customer remains theirs, that they have the ideal opportunity to sell installation and ongoing maintenance services to that customers and that they are free to bundle lines and minutes from the service provider of their choice. They’ve made a conscious decision to remain a reseller in the truest sense of the word and not dumb down their status to the level of a sales agent. This is one of the many reasons why we’re continuing to see sales of soft, hard and virtual IP PBXs flourish.